This morning I was forced to divert from my normal path to avoid hitting a cyclist who was riding on the wrong side of the street. It was dark and he did not have a light and if it were not for the lone reflector on his bike. I noticed that he was not going to pass me on the outside to my left as he was riding in the gutter. I merged to my left and ran my back tire into a huge hole that I avoid every day. This event would set in motion my bike repair this evening. 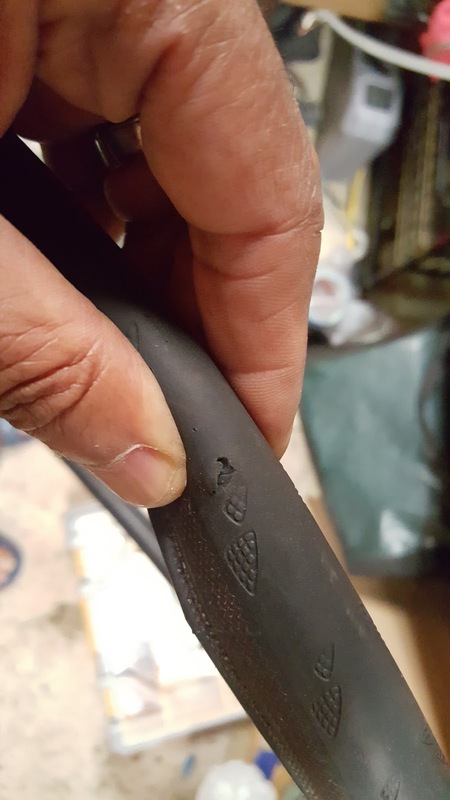 I went on the group ride tonight and I noticed a wobble and bump in my rear tire. 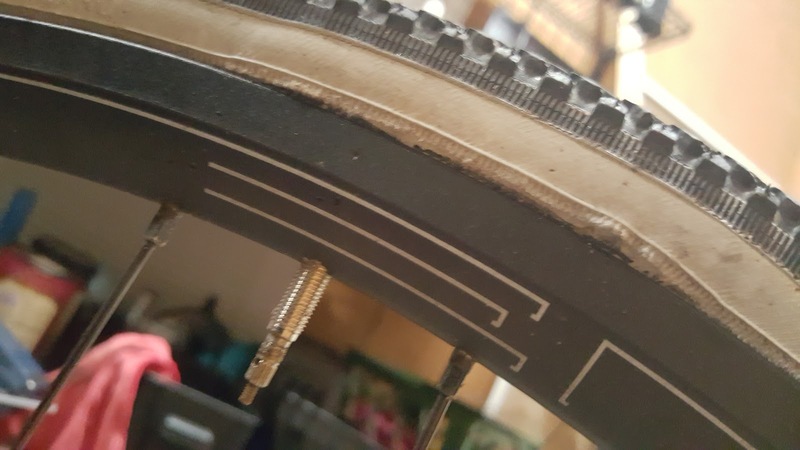 At the 10 mile turn around I looked at my rear tire and to my horror it had two spots near the rim that looked like the casing was going to pop out. I figured it would last until I got home, and it did. I decided to put the Gator Skins back on that I took off months ago because the brand new rear tire had a small chunk flap in it. I took it of because I did not want to ride on a tire with a potential failure point. Tonight I decided to try to fix it as suggested by some of the Bike Commuter. 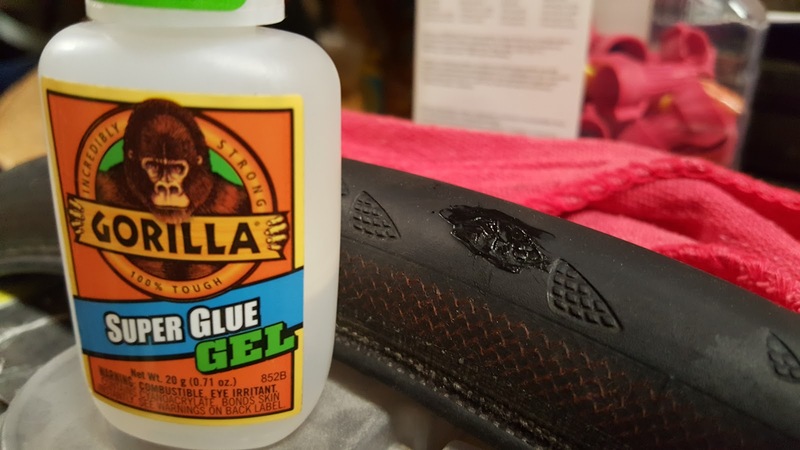 I got my tube of Gorilla Gel and glued the flap to the tire. This is what fanatics do when they must ride their bike to work. I have been leaving my truck at work so that I can attend consolidation meetings at a sister campus five miles away. I do not have any way to get to work tomorrow except my bike. I have written may times about the bicycle games that I invent and play. Leaving my truck at work instead of just driving it on the days when I have the meetings is just my way of saying nothing will stop me from riding my bike to work except me. If I truly do not want t ride to work I will drive my truck, unless it is parked at work.